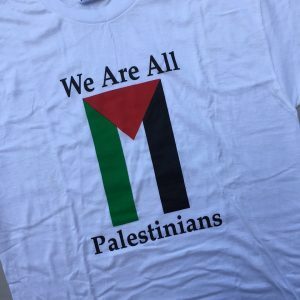 Introduced at the 6th annual Houston Palestinian Festival (March 2016) this stylish shirt expresses Palestinian pride! 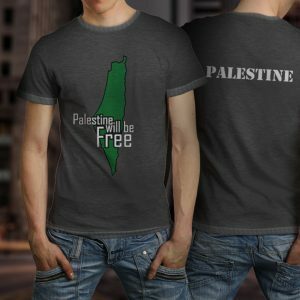 ‘Ana Min Honak’ means I Am From There.. 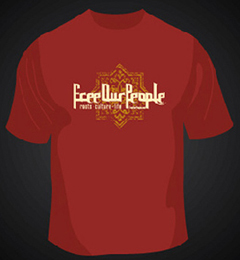 Designed by Palestinian designers Mai Zabri and Ayman, commissioned by Palestine Online Store. Women’s cut black shirt sports a V-neck; back is plain.